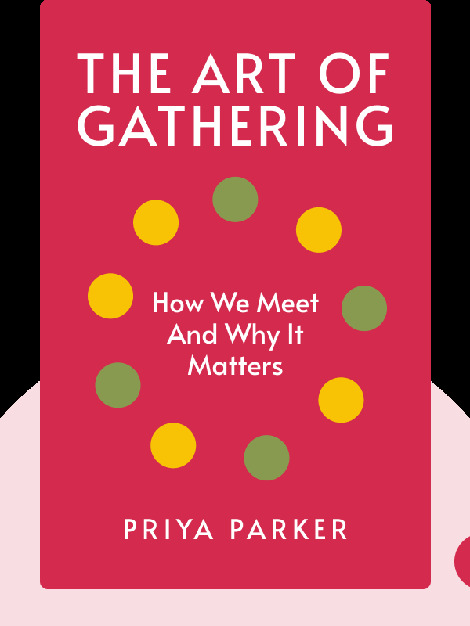 In The Art of Gathering (2018), Priya Parker argues that the gatherings in our lives – from business meetings to dinner parties – are lackluster, routine and lacking in purpose. Parker sets out a bold new approach to gathering that focuses on distinctiveness, purpose and real human connection, and shows how simple steps can invigorate any gathering of people. People interested in how to use gatherings to make real human connections. 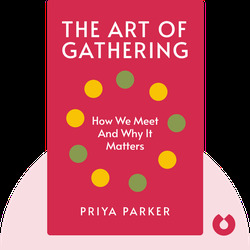 Priya Parker is a facilitator who works with corporate executives, activists, educators and more to create transformative gatherings. Trained in conflict resolution, Parker has worked on peace processes in the Middle East, Africa and India. She has been a member of the World Economic Forum’s New Models of Leadership Council, and her TEDx talk on purpose has been viewed over a million times.